I’ve been using this new Full Focus Planner by Michael Hyatt. And every week there’s a Weekly Review with several questions to answer. I usually skim over that question because it doesn’t excite me. Plus, I wasn’t sure how to answer it. But today I took some time to really ponder that question. And I’m glad I did! 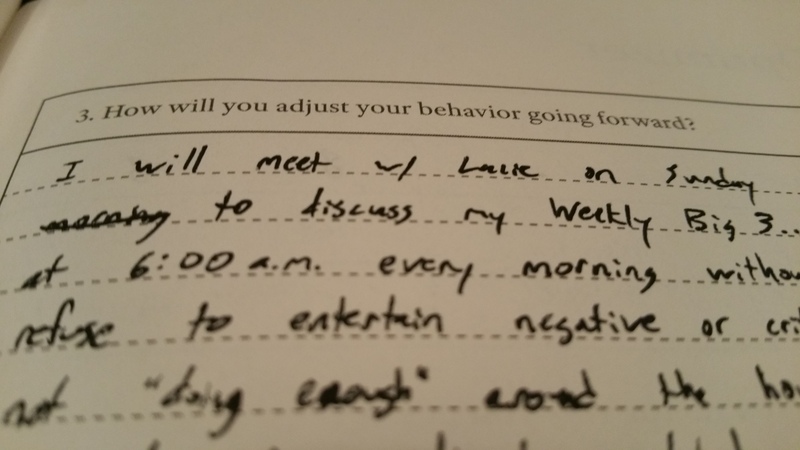 I thought, “what is behavior?” I even googled it to see what the internet had to say about behavior change. As I did this I realized that this is not a question to ignore. If I want to really achieve my goals in life then I cannot afford to ignore behavior. In other words, it’s “the way you approach life.” And the way you approach life determines your level of success. …Now I’m sure some of those aren’t technically “behaviors” but I don’t care. They’re still good and helpful! So that’s my thought of the day for you. Think about how you will adjust your behavior going forward to achieve the goals you want in life.